The Costa Mesa City Council will meet again on Tuesday, February 16, 2016 beginning at 5:45 in City Council Chambers at City Hall. You can read the agenda HERE. There are several interesting items on the agenda, but first we will give you a few interesting snippets of Warrant #2551, HERE, bills that have been paid. These entries were plucked from the list just because I thought you might be interested, or because I was. So, we spent nearly $210,000 on legal services, nearly $165,000 on temporary services and project management. There is one (1) Public Hearing on the agenda, HERE. This is the first reading of an amendment to the Municipal Code related to Water Efficient Landscape Plan and Related Guidelines. These new rules are required by Governor Brown's Executive Order issued April 1, 2015 and must be in place by March, 2016. There is one (1) item of Old Business, HERE. This deals with the request to close off seven (7) wall openings along Victoria Street and Dorset Lane. The staff report provides a list of those locations. New Business #1, HERE, is a screening request for the replacement of a single dwelling with detached garage with a 3-unit residential development at 1979 Anaheim Avenue. This is just a screening of this project, which provides the applicant with feedback from the City Council and refine the development, if necessary. The final item on the agenda, New Business #2, HERE, is the Financial Update, including the Review of the June 30, 2015 CAFR; Fiscal Year 2015-2016 Mid-year Budget Report and the Five-Year Financial Plan. This one could take awhile. The total budget adopted last June was, $154,189,869, including the General Fund budget of $115,202,900. The revised General Fund budget is $117,330,310 - see the staff report for the details on those changes. According to Interim Finance Director Steve Dunivent's report, "Small deficits of 1.3 and 2.7% of general fund revenues occur and will be balanced during the annual budget processes." It will be interesting to hear exactly how that works out. WILL RIGHEIMER LOSE IT AGAIN? I'm going to be very interested to see if Mayor Pro Tem Jim Righeimer blows another gasket Tuesday night. 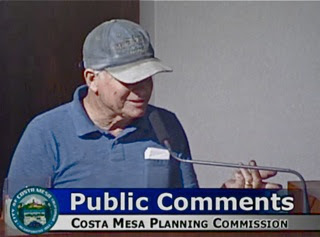 Last time he sucked up valuable Public Comments time with a rant following a comment by Costa Mesa Firefighters Association President Rob Gagne instead of waiting for his time during Council Member Comments. He's such an arrogant, egotistical guy that he thinks the world revolves around him. We'll see what provokes him this time. 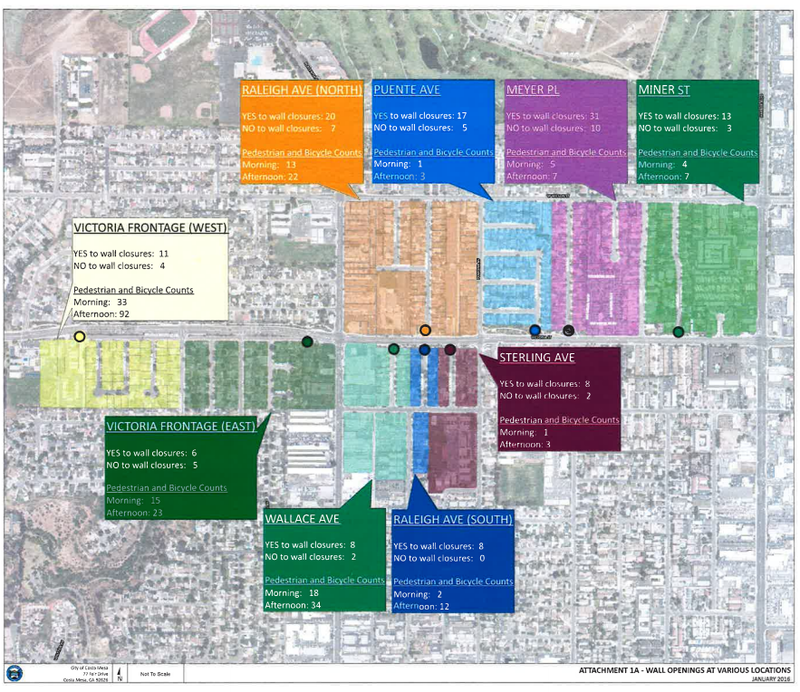 We've been doing a little tidying-up here at A Bubbling Cauldron and wanted to make you aware of some of the recent informational sites made available by the City of Costa Mesa. Over on the right of this page you'll find a roster of links - many sites I thought might be helpful to you during your quest for information about the City of Costa Mesa and beyond. The City has recently added some new ones, so I updated my list - culled some dormant links and added new ones. Most titles are self-explanatory, but there are some new Costa Mesa-oriented sites listed for your use. The first one on the list is the City of Costa Mesa Crime Map - that's been there for awhile. 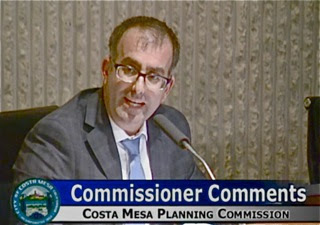 Further down you will find "Costa Mesa Connected", a new one which is actually a blog generated by Public Information Officer Tony Dodero, and provides a rolling report on activities and important news snippets. He tries to update it daily, so it's worth a frequent stop-in to see what's up. Next I listed the "Costa Mesa New Resident Guide", which is a new very nifty source of important information for all of us, not just newbies to the City. 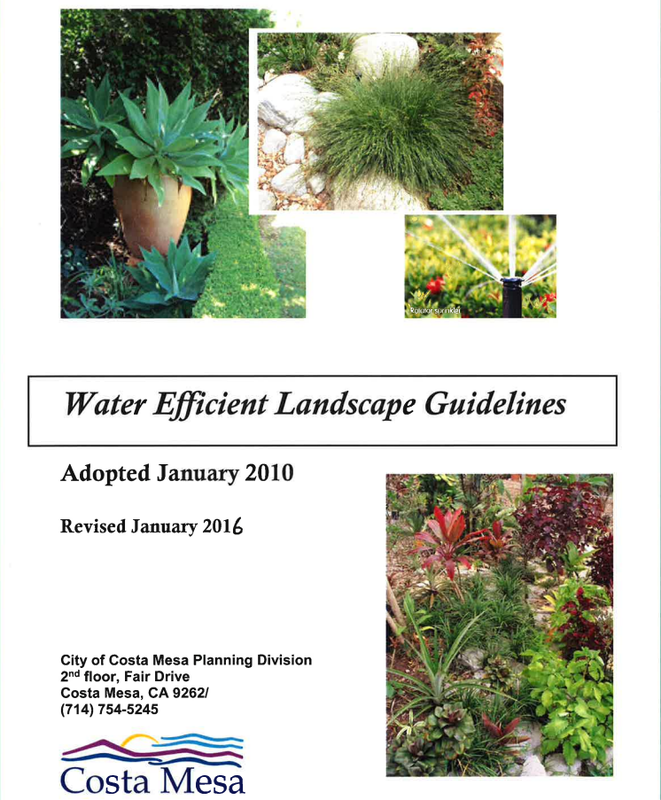 Next is the link to the City of Costa Mesa web page. And, I even linked to the Costa Mesa Library Foundation site for you, too. I encourage you to scroll down through the whole list of links to refresh your memory about what is available to you here. I think you'll find those sites useful - and you can always find them by clicking here first! Clever, huh? More information for you.... and more Page Views for me. You're welcome. 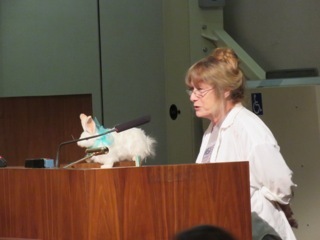 Public Comments included Beth Refakes reminding us of the Eggstravaganza - the candy and gifts drive for the children of our adopted Marine battalion out of Camp Pendleton. 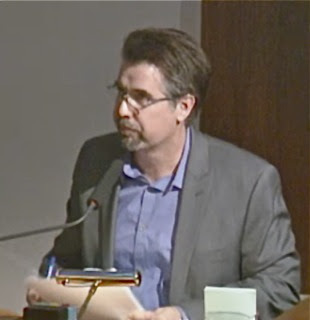 Businessman Tim Lewis, who apparently came directly from work judging from the grease on his hands, reminded the commission of the ownership issue on the Red Mountain project at Harbor and Hamilton. During Commissioner Comments Stephan Andranian again asked for a Code Enforcement update - at the next meeting on the 22nd. 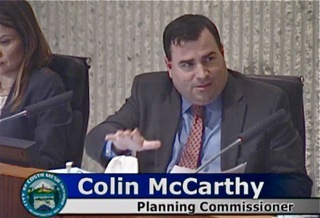 Colin McCarthy mentioned the meeting last Saturday at the Fairview Developmental Center concerning the apparent plans by the State to sell the site, which has dwindled down to just over 200 residents from something over 2700. The meeting ran from 10:00 a.m. until 5:00 p.m. McCarthy told us he arrived just after two and the Daily Pilot article about the meeting was already online. He made a point of demanding to know if the Smart Growth Initiative will have an impact on the development of that site. 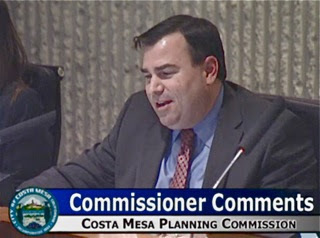 Chairman Rob Dickson mentioned the Costa Mesa Brief YouTube video of the meeting. 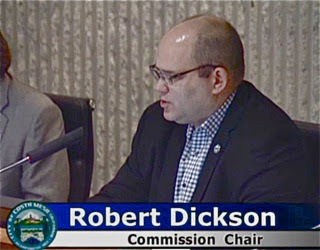 The commission voted, 5-0, to pass the Consent Calendar - the minutes from the previous meeting. As they then began to consider the Public Hearings for the evening, right off the bat Dickson announced that Public Hearing #3, the proposal for 43 units at the site of a car dealership on Harbor Blvd. at Merrimac was being continued to the next meeting at the request of the applicant, and that he would NOT be entertaining any public comments on the issue. 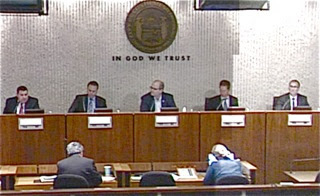 The commission then voted, 5-0, to continue the item. First up was Public Hearing #1, the request for minor conditional use permit for a church at 3184-J Airway Avenue. The request had been approved by the Zoning Administrator in December and called up for review by the Planning Commission by Commissioner Stephan Andranian that month, also. 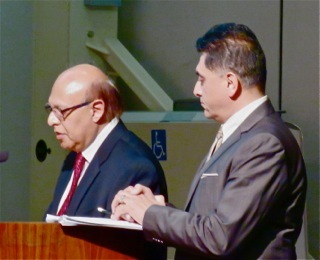 The applicant was "The Ismaili Community", which apparently is a religious organization funded by the Aga Khan Development Network and has 9 hospitals, 200 clinics and 200 schools worldwide. They have 80 facilities in the US. They have been domiciled nearby in Irvine for many years, but say they've outgrown the site. An odd statement, since the proposed site is just under 2,000 square feet and the site they currently occupy is 3,200 square feet. The complication of this application was the proximity of another church, the Berean Community Church, already located nearby, and the complication of congregations competing for parking. Of the seven (7) members of the public who spoke about this issue, only one - the property owner and seller - spoke in favor of this move. The rest were either representing the other church, nearby businesses who would apparently suffer from the influx of more people to the center, or concerned residents. Following an hour of discussion the commission voted to reject the Zoning Administrators approval on a 3-2 vote. 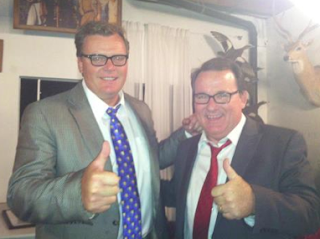 Chairman Dickson and Vice Chair Jeff Mathews voted NO. Public Hearing #2, the proposed restaurant use at the shopping center at the corner of Harbor and Adams at the site of the old theater, then Paul Mitchell School, was promptly approved unanimously following 10 minutes of discussion. Parking - an issue with the Paul Mitchell School - is apparently a non-issue now, according to applicant John Hill. DESIGNED FOR SOBER LIVING HOME USE? The first speaker, a person active within the community and particularly so in dealing with the sober living home issue, stepped up and told the commission that this neighborhood was packed with sober living homes - she described the locations in detail - then pointed out that the configuration of these two homes was as though they were designed specifically for such a facility! The 5-bedroom unit, for example, has a bedroom with bathroom on the first floor and 4 more bedrooms and three more bathrooms on the second floor. 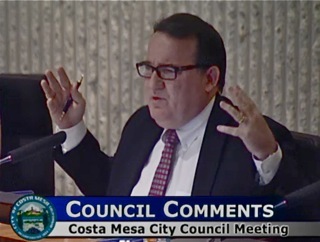 A second speaker stepped up and told the commission that Costa Mesa has 215 unlicensed sober loving homes and 90 licensed facilities and this project was designed for such use. 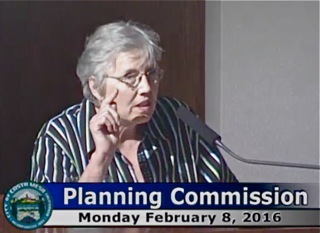 A third speaker was concerned about the parking requirements for the development. During the subsequent discussion commissioners tap-danced around the sober living issue, stating that they couldn't make a decision based on speculation of how the properties might be used. It's interesting to note that, based on what we're led to believe is the going rate for "clients" in sober living homes in the city, it would take just over a year to pay off one of those homes with that use. The commission passed the project on a 5-0 vote. Public Hearing #5, the two-unit development at 2156 Myran Drive, also passed on a 5-0 vote. The only question on this one was the size of a landscaped area abutting Myran Drive, which was quickly resolved. 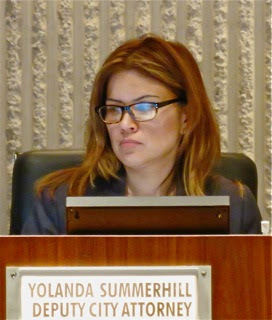 The meeting ended at 8:30 with Deputy City Attorney Yolanda Summerhill reminding the commissioners that their Statements of Economic Interest were due to be submitted in March. Over the past few days the Los Angeles-based media has been peppering the airwaves with news about the dramatic increase in crime in Los Angeles. Horrified politicians wring their hands because it's up 10% - and rightfully so. That's a significant number and should cause concern for anyone living in or visiting that city. 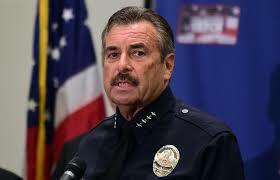 In response we heard LAPD Chief Charlie Beck tell reporters that he had reassigned his elite Metro Division to work on targeted areas. He also said part of the solution to the problem, which he attributed in part due to Prop. 47 and AB 109 releases, was to add a couple thousand more cops to his 10,000 already on board. MEANWHILE, COSTA MESA INCREASE IS TRIPLE! 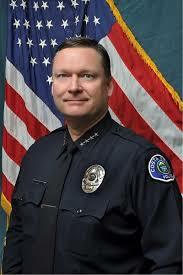 New Police Chief Rob Sharpnack has told us in recent months of his plans to improve things and it all sounds just fine. The only problem is, we are so far behind the curve in our recruitment that it will take most of this year - at least - to get the headcount back to the arbitrarily-diminished level imposed on the CMPD by the current council majority. We're down 20 officers, so if we snag two or three per Academy class and don't lose any more officers to retirements or departures to other jurisdictions, we just might make it back to the authorized headcount by the end of the year. However, having bodies behind the steering wheels of our cruisers doesn't solve the problem. It takes months for a new officer to gain even the minimal skills to patrol alone. WHAT ABOUT THOSE "GRANT" COPS? And, by the way, five of our current positions are "grant" positions - and the grants are about to expire. That eliminates those slots unless a way can be found to authorize them beyond the expiration date. In the meantime, Prop. 47 will continue to negatively impact our city, as will the early-releases as a result of AB109. 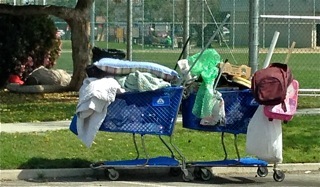 And, of course, our homeless population - up a reported 45% - will continue to be problematic. And that issue is complicated by the growing number of sober living homes in our city. When "clients" fail in one of those places there apparently is not mechanism to ship those failures back to their homes in other states. So, they become one of our homeless individuals and, worse, they typically are now back using whatever their drug of choice happened to be. As we move forward in what is likely to be the most contentious campaign season in Costa Mesa history, it will be important to think about this issue and to remember who is responsible for a big chunk of it. There are plenty of campaign issues this time around, but in my view, the rising crime rate and diminished police force is right at the top. 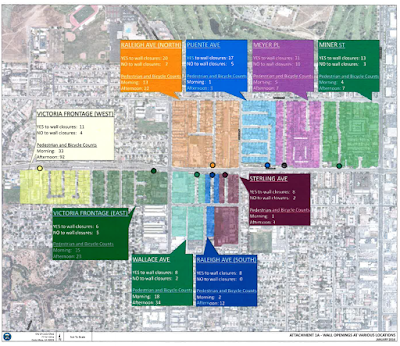 The Costa Mesa Planning Commission meets again on Monday, February 8, 2016 in City Council Chambers beginning at 6:00 p.m. The full agenda for that meeting may be found HERE. There are five (5) public hearings schedule for this meeting. Here's a brief rundown on the issues to be discussed. 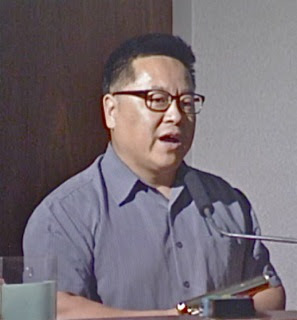 Public Hearing #1, HERE, is a request for a minor Conditional Use Permit to deviate from shared parking requirements for a religious education and cultural assembly at 3184 Airway Avenue, Suite J. The Zoning administrator approved the request late last year and was promptly called for Planning Commission review. The staff is recommending approval, but there are letters in the file from nearby neighboring operations opposing this change. 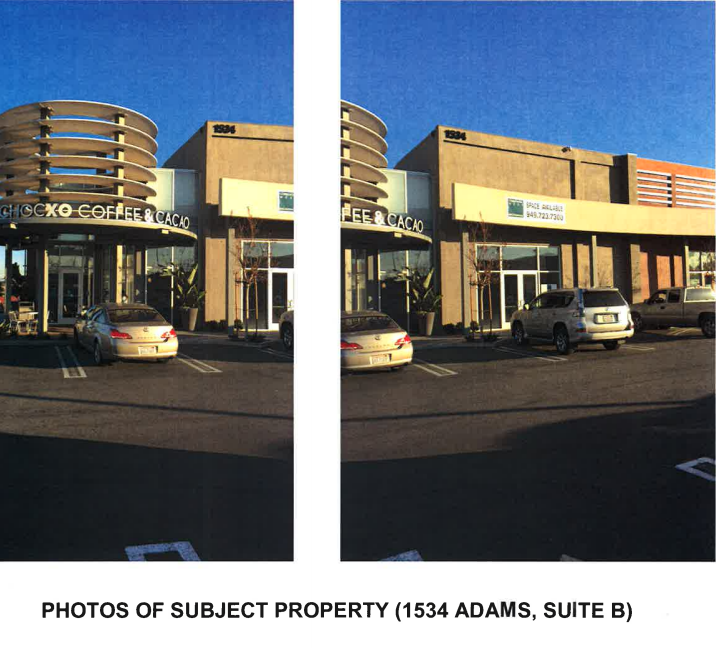 Public Hearing #2, HERE, is a request to amend a planning application for the shopping center at 1534 Adams Avenue, Suite J, on the north corner of Harbor Blvd. and Adams Avenue. 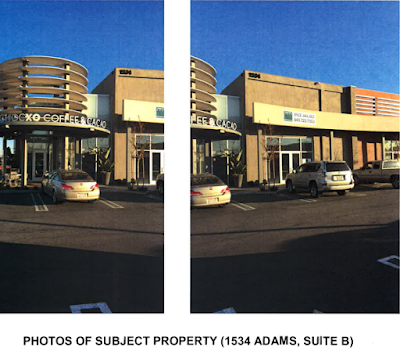 Specifically, the applicant wants to add 2334 square feet of restaurant space, deviate from the shared parking requirements and add valet parking. The staff recommends approval of this one. Public Hearing #3, HERE, involves a proposed 43-unit, two-story, detached residential common interest development at 2626 Harbor Blvd. at the corner of Harbor and Merrimac. The applicant has requested this item be continued to the meeting of February, 22, 2016 to make modifications to the project. 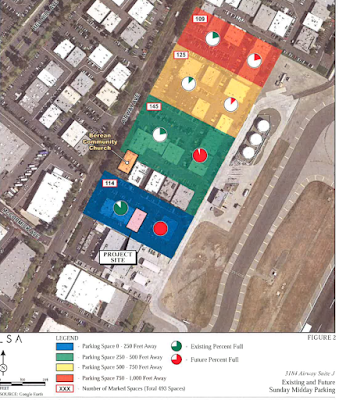 Public Hearing #4, HERE, is the planning application and tentative tract map for a detached two-unit small lot development at 1808 Pomona Avenue with no code deviations requested. Public Hearing #5, HERE, is another two-unit small lot development located at 2156 Myran Drive, which also requests no code deviations. It looks like it's going to be a busy night at City Hall. For more information visit the city website HERE, for complete details on the duties for each committee and the number of vacancies on each. The deadline for applying is 5:00 p.m., Friday, February 19, 2016.